The two Rongrong business ranks in the furnace: 2018 head brokers have greatly reduced the funds, this broker has increased by 50%. Two melting business ranking furnace: 2018 headBrokerThe funds have shrunk sharply, but the brokerage has reversed the scale of the counter-attack by 50%. As an important indicator of the A-share market, the two-inclusive business has always been an important part of the brokerage business. 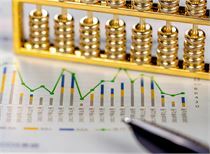 However, since April and June 2018, after the Shanghai Stock Exchange and the Shenzhen Stock Exchange stopped publishing the changes in the balance of securities companies, the outside world can only peek out from the annual report data. At present, in addition to Guosen Securities, Changjiang Securities and Caitong Securities, the annual report of brokerages with a capital of 10 billion in size has been basically announced in 2017. According to statistics from brokerage Chinese reporters, in 2018, the scale of financing of various brokerages (including the two financing and margin financing) almost all contracted to varying degrees, especially the head brokers. The emergence of such changes, on the one hand, the market is not good, the customer financing demand has fallen sharply, on the other hand, it is due to the securities companies to strengthen the risk control, business contraction. As of the morning of April 11, among the 24 brokerages with statistics, 23 of the 2018 funds were down year-on-year, with 18 of them falling by more than 20%. In terms of absolute value, the number of securities companies such as CSC, Guotai Junan, CITIC Securities and GF Securities declined by more than 10 billion yuan. Industry rankings are always the first focus of the industry. 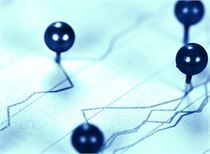 According to the data and the brokerage annual report, among the 24 brokerages with statistics, except for the amount of Ping An Securities's financing increased from 11.226 billion yuan to 16.752 billion yuan, the scale of the financing of the other 23 brokerage firms showed a decline in scale. Among them, CITIC Jiantou Securities fell from 47.821 billion yuan in 2017 to 25.148 billion yuan in 2018, down 47.41% year-on-year. 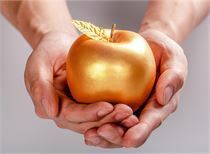 In general, although the top three brokers changed from Guotai Junan, CITIC Securities and GF Securities in 2017 to today's CITIC Securities, Guotai Junan and Haitong Securities, the amount of funds raised in 2018 reached 57.198 billion respectively. Yuan, 53.565 billion yuan and 48.861 billion yuan, but in fact the industry rankings of various brokers basically jumped within the range of 2 positions, and there was no significant fluctuation. Specifically, although CITIC Jiantou has become the “most popular” broker with a year-on-year decline of 47.41%, it has only dropped from the 9th to the 10th due to the large base. Guotai Junan, China Galaxy and China Merchants Securities also have the same Decrease 1 position, currently ranked 2nd, 6th and 8th; GF Securities, Founder Securities and Guoyuan Securities also fell 2 places, currently ranked 5th, 13th and 15th; and Huaan Securities declined 4th place, from the 16th of 2017 to the 20th of 2018. At the same time, Ping An Securities, the only contrarian expansion to raise the size of funds, rose by 3 places, from 15th in 2017 to 12th; Huatai Securities and Guojin Securities also rose 2 places, currently 4th and 18th; 7 brokers such as CITIC Securities, Guotai Junan, Haitong Securities and Everbright Securities also rose one place respectively. From the point of view of the scale of the financing of single brokers, various brokers have changed the momentum of expansion in 2017, but instead turned around and continued to shrink. Among the 24 brokers with statistics, except for the amount of Ping An Securities's financing increased by 49.22% year-on-year, the size of the funds of the other 23 brokerages declined. Among them, 9 brokers decreased by over 10 billion yuan. Home brokers fell more than 20%. Among them, CITIC Jiantou, which had the largest decline in scale, reduced its funds by 206.73 billion yuan in 2018, down 47.41% year-on-year. Secondly, the scale of Guotai Junan fell by 20.329 billion yuan, down 27.48% year-on-year. In addition, CITIC Securities, GF Securities, China Merchants Securities, etc. The size of the seven brokerage firms also fell by more than 10 billion yuan. However, during the same reporting period, the amount of Ping An Securities's financing increased by 5.526 billion yuan to 16.752 billion yuan, a year-on-year increase of nearly 50%. Ping An Securities said that in 2018, the company's new two-share market share reached 7.15%, and the market share of total customers at the end of the period increased from 1.59% in 2017 to 1.78% in 2018. As of the end of 2018,Margin financingThe business scale market share is 2.33%. Company stockPledgeBusiness closely follows market changes, timely adjustment of business policies, at the pledge rate,interest rateIn terms of timeliness of approval, the industry has maintained a competitive advantage and the overall risk is relatively controllable. It is worth noting that in 2017, CITIC Jiantou was still the fastest-growing brokerage company, compared with an increase of 16.815 billion yuan in 2016, and CITIC Securities, which ranked second in growth rate, grew by only 8.961 billion yuan. It is only half of CITIC's construction investment. In fact, after experiencing a full-scale contraction in 2018, the size of the funds of most brokers has been lower than the 2016 level. Affected by the overall environment of the A-share secondary market, the scale of the whole-market margin financing and securities lending business in 2018 fell sharply. The data shows that as of the end of 2018, the balance of margin financing and securities lending in Shanghai and Shenzhen was RMB 755.704 billion, a decrease of 26.36% from the end of 2017. The continued exposure of the two risks in 2018 also makes brokers more cautious about carrying out the two business. A few days ago, along with the performance forecast, many brokers concentrated on the impairment of accrued assets.announcementMost of them are pledged with the two business or stocksRepoBusiness related. 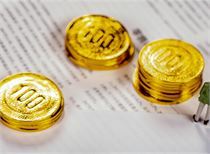 According to incomplete statistics, since 2019, a total of seven brokerage companies have announced the deduction of the funds for the financing of the two business and the margin financing business, with an accrual of more than 500 million yuan. It is conceivable that the development of the brokerage business in 2018 is particularly difficult. According to the data, among the 21 brokers with statistics, only 4 interest incomes of the two companies increased in 2018. Specifically, the two financial businesses of Everbright Securities and Industrial Securities are particularly remarkable. 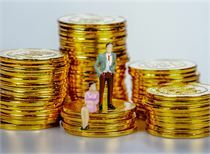 Not only have the interest income of the two companies successfully exceeded the one billion yuan mark, which was 2.258 billion yuan and 1.427 billion yuan respectively, and they also obtained 15.40% and 14.59 respectively. % year-on-year growth; Eastern Securities and Southwest Securities also received a year-on-year increase in interest income from the two companies in the context of a decline in the size of the funds. 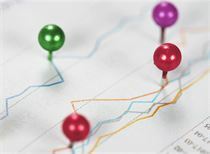 The reporter checked the annual report and found that although the above four securities companies both fell in 2018, the decline was less than the industry average, so the market share increased to varying degrees. Everbright Securities mentioned in the annual report that in 2018, the company focused on high-net-worth customers and institutional customers by taking active and effective business measures, and the share of margin financing and securities lending business stabilized and rebounded. Comprehensively sort out the business, consolidate the business foundation, and actively and steadily resolve and eliminate business risks. 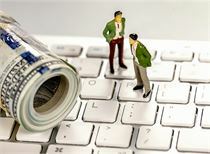 In the face of the depressed market environment in 2018, Shen Wan Hongyuan also pointed out that the company has maintained financing through the creation and development of securities financing and innovation products, organization and guidance of branch business promotion, strengthening customer differentiation management, and strict control of business risks. The market position of the securities lending business. In fact, strengthening risk control and optimizing customer groups is now the core content of brokerage business. CITIC Securities said that it will further strengthen the unified and standardized management of financing businesses, and improve the credit risk management and pricing management level while continuously improving the exhibition structure of different types of financing businesses; Border, develop transactional customers, listed companiesshareholderSuch as entrepreneurs and large-scale industrial purchases and customers, and gradually form a specialized financing services sector to enhance the company's financing business income. CSI Securities also revealed that in 2019, the company will continue to enhance its risk management capabilities for margin financing and securities lending business. On the other hand, it will comprehensively promote the construction of customer service system, providing customers with investment health reports, investment and An overall customer service plan, including strategic services and algorithmic trading. For international business, in addition to implementing the transformation of the quality of target customer groups, CITIC Construction Investment International is also the focus of future development.Main forcePromote the development of a customer base with blue chip stocks as collateral financing, and improve the company's overall financing risk management structure. However, it is worth noting that in the first quarter, due to the continued warming of the capital market, market risk appetite has rebounded significantly. In late March, the balance of the two financial reserves has returned to the 900 billion yuan mark. The data shows that as of April 11, the balance of the two cities in Shanghai and Shenzhen has reached 969.25 billion yuan, an increase of 28.14% compared with 756.373 billion yuan at the beginning of the year. Minsheng Securities pointed out that market transactions have become more active, favoring brokerage brokerage and capital intermediary business. Along with the rising balance of the two balances, the organic brokerage business department began to seize the opportunity and gave various interest rate incentives to step up the passengers. "Almost the interest rate adjusted after the Spring Festival." Huatai Securities Shenzhen sales department told reporters that the same amount of financing of about 1 million, the previous financing rate is about 8.35%, now can be given 6.6%. It is understood that the public financing rate given by the various sales departments on the market is about 8.5%. The brokerage business department also revealed that if the financing scale is large, the financing interest rate may be further reduced. "If you want to get the interest rate below 6%, it must be more than 10 million." However, different brokers seem to have different attitudes, and some brokers have indicated that they have not yet joined the "interest rate war." The reporter learned from a listed brokerage company, Rongrong Business Department that since the beginning of 2019, the financing rate given by the company has not changed. 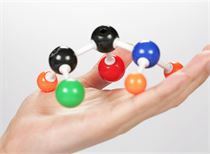 Another business person from the South China brokerage firm also revealed that the company's internal guidance is that the scale of the two mergers can only be compressed and cannot be added.